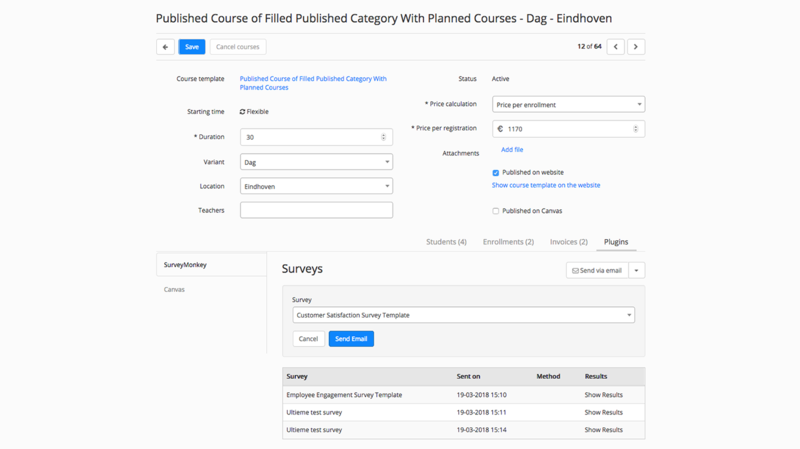 3 Send surveys to all the students in a course, for example to evaluate the course. 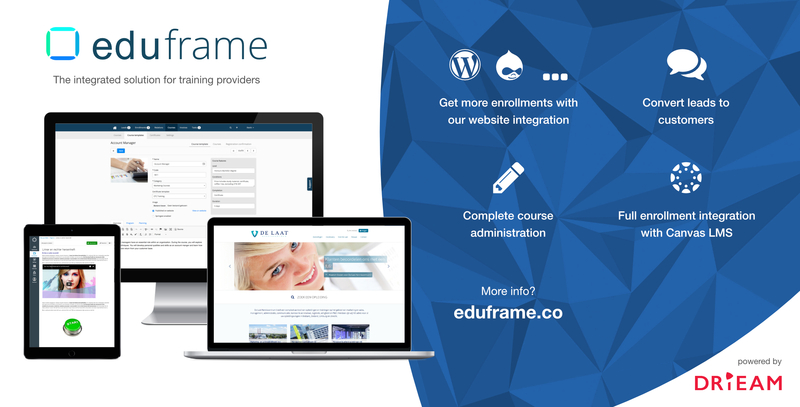 Eduframe is training management software that provides a complete solution for commercial training providers: website integration with WordPress plugin, course administration software and Learning Management System (Canvas). Eduframe is easily extendable with market leading applications like SurveyMonkey. 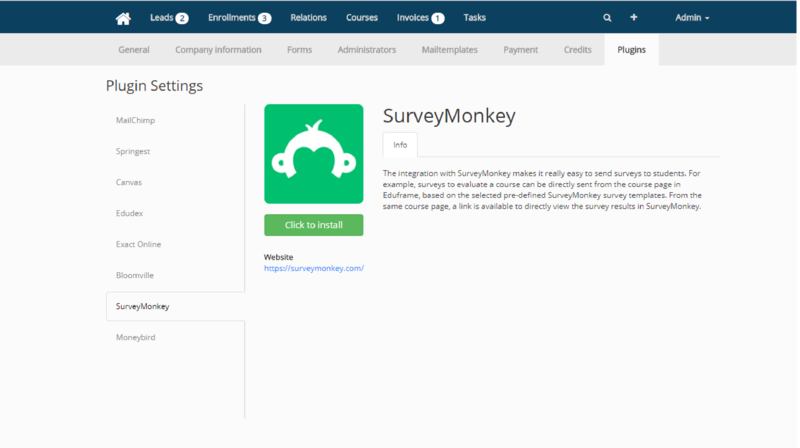 SurveyMonkey can be used to send evaluations to students participating in a course, directly from within Eduframe. The integration with SurveyMonkey makes it really easy to send surveys to students. 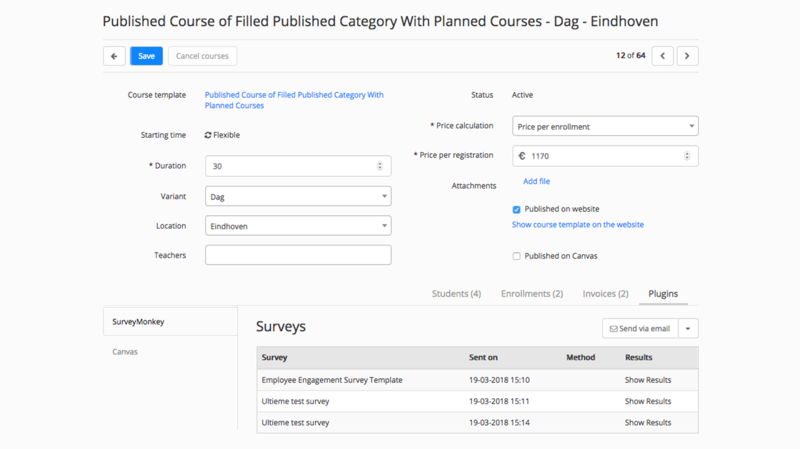 For example, surveys to evaluate a course can be directly sent from the course page in Eduframe, based on the selected pre-defined SurveyMonkey survey templates. From the same course page, a link is available to directly view the survey results in SurveyMonkey. Improve the quantity and quality of traffic to your website with a professional website using the Eduframe WordPress plugin. Students and teachers can log in directly on your website to view their personal page. Simple and carefree website management with WordPress. Done with the Excel sheets? Enrollments and leads from the website are directly visible in your course management system. Manage enrollments, customers, teachers, students, courses, leads, invoices and more! New enrollments and registrations via your website appear directly in your course management software. Enrollments will receive an invoice automatically for your training and courses. Offer blended and online training with the fastest growing learning management system in the world. Your students can start immediately when enrolled without your administration department taking manual action.